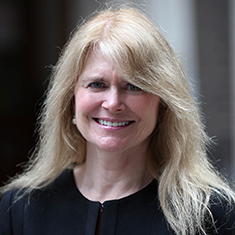 Carolyn Jackson is a partner in Katten Muchin Rosenman UK LLP. She has extensive experience in advising on financial markets and products regulation, including the regulation of over-the-counter and exchange-traded derivatives, as well as commodities, securities and structured transactions. She advises on national and cross-border compliance with G20 regulatory reforms, including the Dodd-Frank Wall Street Reform and Consumer Protection Act, the European Market Infrastructure Regulation (EMIR), the Markets in Financial Instruments Directive (MiFID II) and the Markets in Financial Instruments Regulation (MiFIR). She has deep experience in derivatives, covering documentation, structuring, compliance, regulatory and legal risk issues. She is a frequent speaker on international and US regulatory reform. Prior to joining Katten, Carolyn was the European head of Allen & Overy LLP's US Regulatory practice. Before becoming a lawyer, she was the executive director and a board member of the International Swaps and Derivatives Association, Inc. Carolyn spent the first 13 years of her career as a derivatives trader and was part of the original swaps team at Chase Manhattan Bank, NA. She established the New York derivatives trading desk for Banque Nationale de Paris, and was the first vice president and manager of the Banque Indosuez International Capital Markets Group in New York. Co-author, Large Trader Reporting, OTC Derivatives Regulation Under Dodd-Frank: A Guide to Registration, Reporting, Business Conduct, and Clearing, Thomson Reuters, 2014 ed.